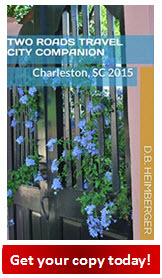 FOOD is one of the biggest reasons many visit Charleston, South Carolina. Some of the best food you can imagine is served up in Charleston. Choose from festive dockside restaurants to fantastic steakhouses, notable fine dining restaurants to quaint outdoor cafes, the most delicious Southern classic restaurants to something more eclectic. Enjoy fresh seafood, or anything your heart (or your belly) desires! It will always be served up with a warm smile. 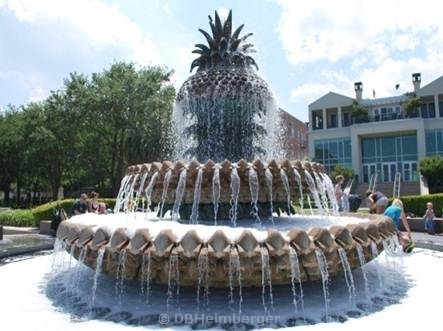 With literally hundreds of restaurants to choose from to sample the local cuisine, dining in Charleston and the surrounding areas is an amazing and memorable experience for all tastes. From casual to upscale... Lowcountry to high steppin'... ordinary to extraordinary... simple to gourmet... It's all here. If you love food, Charleston is the place to visit! Enjoy! Juanita Greenberg's Nacho Royale, 439 King St.
Sticky Fingers, 235 Meeting St.
Wild Wing, 36 N. Market St.
39 Rue de Jean, 39 John St. 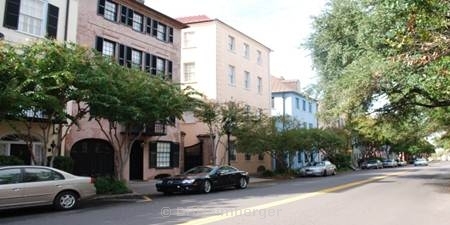 Basil Thai Restaurant 460 King St.
Coast Bar & Grill, 39-D John St.
Cru Café, 18 Pinckney St.
Hyman's Seafood Restaurant, 215 Meeeting St.
La Fourchette, 432 King St.
Magnolia's, 185 East Bay St.
Robert's of Charleston, 182 East Bay St.